Bottled water is more expensive than water that comes out of the tap, and about as healthy – so why do people keep buying it? The answer, according to a new study from the University of Waterloo, likely has a lot to do with how it’s marketed. The study found that bottled water companies target their advertising to send messages that suggest their product is somehow affiliated with liveliness and vibrancy. “They’re very effective at targeting people’s desire for health, people’s desire to avoid all risk, and people’s desire to build their self-esteem,” says Sarah Wolfe, an associate professor in Waterloo’s environmental school who helped oversee the study. In addition to messages around health and wellness, Wolfe says, bottled water companies also use celebrities to suggest that consuming their product means living a life similar to the lives of those celebrities. Groups which speak out against bottled water or in support of tap water consumption, on the other hand, were found to be less effective, as bottled water consumption has continued to increase in Canada even as arguments against it have become more pervasive. “The pro-tap water campaigns need to stop preaching to the choir,” Wolfe says. The Wellington Water Watchers are a local group who have focused on promoting tap water consumption ahead of bottled water purchasing. Robert Case, a member of that group’s board of directors, says the best way to encourage people to drink tap water is to make it easier to find in public spaces. “When I was a kid, there were public taps available everywhere. That’s somehow gone out of style,” he says. Case says he hopes people will soon start to give more thought to where their water comes from, particularly as it becomes a bigger issue in provincial politics. Premier Kathleen Wynne has issued a moratorium on permits for new or expanded water-taking operations for water bottling. The moratorium ends at the end of 2018. “Why are we putting that into plastic bottles when there’s a way more economically efficient, ecologically efficient way of distributing water?” Case says. 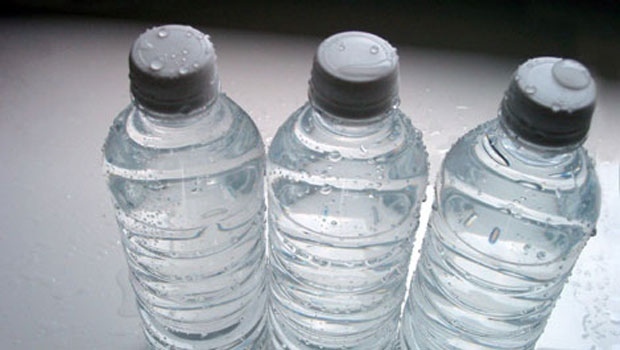 Canadians are expected to spend about $3.3 billion on bottled water this year.